'In those uncertain months before securing an agent and then publisher, Emily's work as editor on my manuscript was crucial. Her notes were always perceptive and challenging but framed with real encouragement and support. 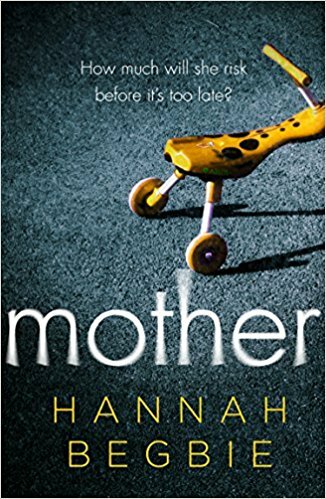 I was lucky to have someone so talented helping me take my story forward: Emily deserves real credit for the fact that it's being published,' Hannah Begbie, Mother, Harper Collins, 2018, winner of Joan Hessayon Award. 'Emily edited my first novel with great insight, identifying clearly what was working and what wasn’t. I tightened up the manuscript considerably through her suggestions which I found invaluable, and have taken the lessons learned from that process onto my further work. Her input was very helpful,' Harriet Tyce, Blood Orange, Wildfire February 2019. 'Emily's comments on my work were always kind, constructive, and insightful, and the lessons I learned from her advice were invaluable. 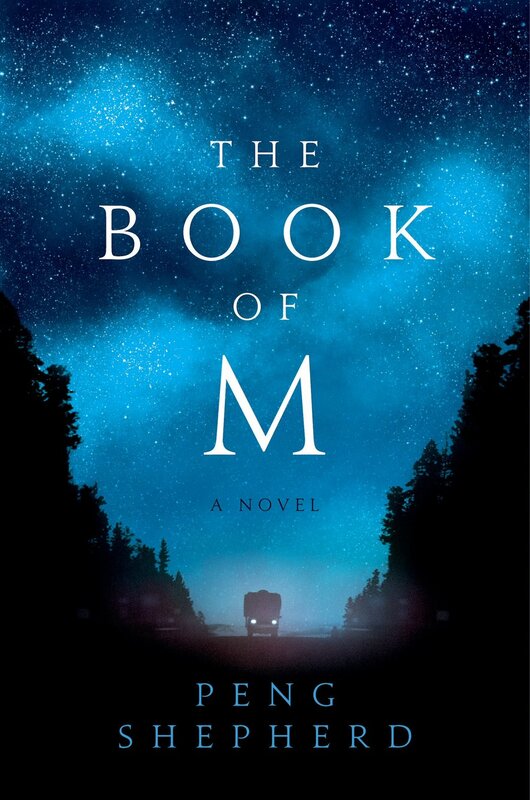 She's able to get straight to the heart of a story and help you see what's missing, so that you improve it from the inside out,' Peng Shepherd, The Book of M, William Morrow US/HarperFiction UK. 'Emily is a brilliant and sensitive writing mentor... My debut novel, Flesh and Bone and Water, is based on a story I first showed to Emily. Her perceptive feedback and support gave me the courage to expand it into a book,' Luiza Sauma, Flesh and Bone and Water, Viking, and Everything You Ever Wanted, forthcoming, June 2019. 'Emily Pedder's insightful critique of Owl Song at Dawn helped me to rework it to a publishable standard. Her alertness to the demands of plot and structure is balanced with her sensitivity to psychology of characters, complexity of themes and nuance of language. Such a rare combination proved invaluable,' Emma Claire Sweeney, Owl Song at Dawn, Legend Press and A Secret Sisterhood, Aurum Press. 'I first met Emily some years ago at a short course at City, University of London when I was writing short stories and could not imagine writing a novel. With Emily’s encouragement on how to view the process differently, I have completed the first draft of a lengthy novel. As a mentor and editor, Emily has always been very empathetic and encouraging. 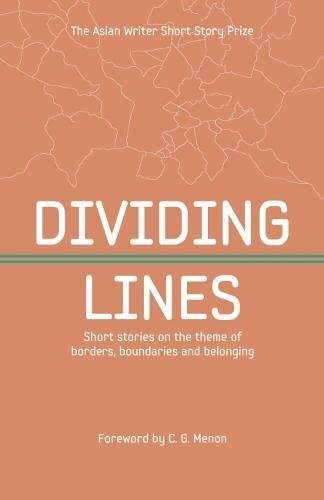 She always provides excellent input on both the finer detail and bigger picture of what is required to get a story to the very best it can be,' Meera Betab, Dividing Lines, Dahlia Publishing. 'Emily Pedder is the midwife, first reader, first editor, and ever-encouraging mentor who kept me writing... I owe her a huge debt of gratitude for her keen instincts around the subject matter of this memoir. Thank you, Emily,' Monique Roffey, With the Kisses of His Mouth, Simon & Schuster. 'I benefitted a great deal from Emily's sensitivity to my text... She's different from other editors - I had a consistent feeling that she was experiencing my manuscript as a story not just a job. She commented on it as a reader might rather than just on the technicalities of writing and structure. It was a warm and reassuring experience. I recommend it to all authors or would-be novelists. And I am looking forward to working with her on my current novel for the same nurturing, thorough and focused work that got me not just an excellent publisher but also some dizzying reviews!' Shahrukh Husain, A Restless Wind, Picador India. 'With a keen awareness of the connection between a strong structure and elegant word choice, Emily really knows how to help a writer make his or her story shine. Plus, she imparts her knowledge with kindness. Can't recommend her enough,' Rachel Mann, On Blackberry Hill, Create Space, winner of National Jewish Book Award, Young Adult 2016. 'Emily Pedder is an extremely gifted writing coach, mentor and editor. She is quick to appreciate what a writer is trying to achieve and tailors her advice to each individual. Her enthusiasm is inspiring and her creative instincts are always spot on. Working with Emily is a great way to bring out the best in your writing,' Penny Rudge, Foolish Lessons in Life and Love, Little Brown. 'Emily's experience as a writer makes her an excellent editor and tutor and her feedback on short stories and novels has always been constructive and valuable,' M. D. Villiers, City of Blood, Harville Secker. 'Emily Pedder’s feedback was always excellent and exacting. She could easily identify the weaknesses and strengths in my writing, and her constructive, generous suggestions prompted me to work harder,' Deepa Anaparra, Deborah Rogers Foundation Writers Award winner 2018, Lucy Cavendish College prize winner, Bridport Peggy Chapman-Andrews Award winner and Asham short story award winner. Debut novel, Djinn Patrol on the Purple Line, forthcoming with Chatto & Windus. 'I wrote this novel while on Emily’s course at City, University of London. Her comments were invaluable. Her suggested changes to the central scene made it far more moving. She was always helpful in a very practical and insightful way,' Claire Lloyd, Ophelia in Pieces, Short Books. 'Emily has been helpful at every stage of the process, from generating ideas to finding the right publisher: I was really impressed by her attention to detail and knowledge of independent presses. But most importantly she is a great at both the sentence level and in thinking about the overall story shape,' Simon Holmes, aka Jake Carter-Thomas, Nineveh Fades, The Lanyard, and The Loessless Trail. ‘I worked on the draft of a first novel in Emily's class. In the supportive environment she fostered, I learnt not only important lessons of character and story craft. I also became confident in the critique of my own and others’ work. I'm grateful to Emily for equipping me with skills that continue to help me every day in my writing work,’ Lawrence Patchett, I Got His Blood on Me, Victoria University Press. 'I was lucky enough to have Emily Pedder as one of our tutors on the Certificate in Novel Writing Course at City, University of London. She was incredibly inspiring, knowledgable and an expert in guiding us through the pitfalls of creating a first draft. Our group continued on for several years, after the course had finished, where she provided feedback on further drafts of my manuscript. Ultimately, she was instrumental in the process of publishing my first book,' Alexandra Cameron, Rachael's Gift, ANZ Picador. 'I have worked with Emily as an editor for the past ten years, seeing my first novel to publication and my current novel from rough draft ideas through to a radical rewrite. Emily has a very keen eye for narrative structure, posing astute and challenging questions that push me as a writer to fully realise my intentions. She skilfully combines critical judgement with empathy, support and encouragement, which come from a deep understanding of the writer and their process. I could not recommend her editorial and mentoring skills more highly,' Kirstan Hawkins, Dona Nicanora's Hat Shop, Random House. 'Emily's editorial advice both during and post the City's Novel Writing Course was invaluable. She worked with patience and offered practical, achievable solutions. Her insightful feedback guided me through writing and redrafting my novel. The lessons learned stayed with me, and have made me a better writer,' Eleanore Etienne, writer. 'I had a session with Emily at a crucial developmental stage of my novel. Her approach is both practical and insightful, just the combination I needed to help me make editing decisions and look again at structure and character development. It worked well for me because she uses her own considerable experience as a writer, and equally important as an informed reader, and also has a much needed objective view that is essential in good editing. She has a great understanding of the importance of finding one’s own voice as a writer, and is also very astute at pointing out and helping with the practical aspects of getting your writing into the best shape possible. We all need a good editor, and Emily is one,' Angela Dove, shortlisted for The Lucy Cavendish Prize 2018. 'Emily's editorial advice has always been invaluable to me. She takes your project as a given, and then sets out to help you perfect it on its own terms. She has helped many writers and has a wealth of experience and insights. And her skills extend to the deepest editorial issues,' Remy Salters, Butterfly Ranch, Matador Press, winner of International Rubery Award for fiction 2018. ‘Emily was my tutor on the Novel Studio in 2009-10 and was extremely helpful, encouraging and thought-provoking in her workshops, her feedback and her overall approach. She’s also friendly and unstuffy and made the whole process of learning about creative writing enjoyable as well as stimulating. Her contacts in the world of publishing also meant we were able to mix with editors, agents and published novelists during the course. I benefited hugely’ Guy Russell, writer. 'Early in my development as a writer I was fortunate enough to work with Emily. Insightful, detailed, and straightforward, her suggestions helped me think about my writing in unexpected ways, and most certainly helped me cut through my own internal BS—she was not there to massage anyone’s ego! 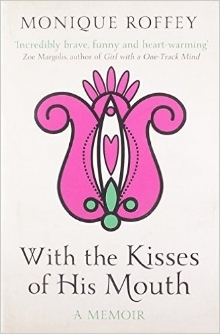 That kind of candor, coupled with her understanding of what makes stories and prose work, proved invaluable, and have stayed with me to this day,' Rick Kellum, writer.